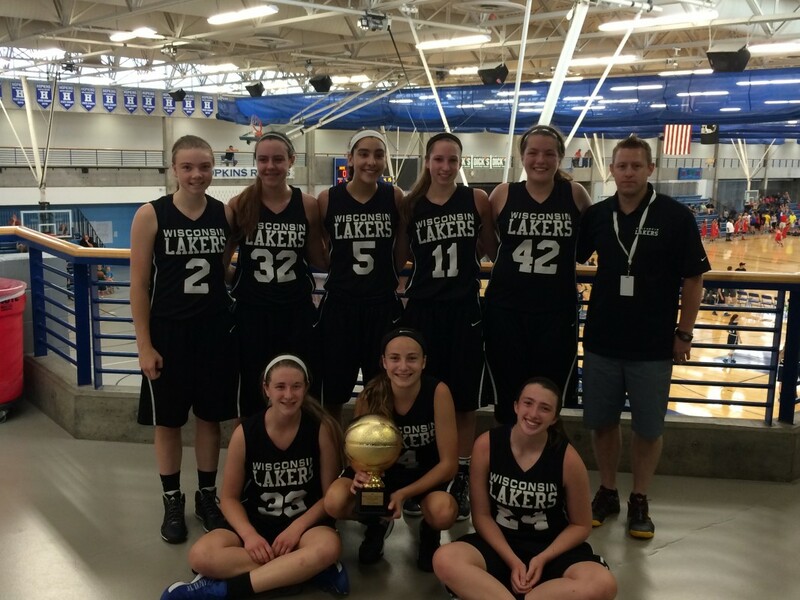 Wisconsin Laker Whites won the Blue Star National tournament in August, GA, played July 27 – 29. The Laker Whites finished off a dominating season winning 8 of the 12 tournaments entered. Undefeated in the state of Wisconsin, the Laker Whites finished with a 51 – 8 record for the season. The championship at Nationals didn’t come easy as the Lakers had to beat a very good Rivals team from Massachusetts. The Lakers were down 6 with three minutes to go when point guard Emma Meriggioli hit a huge 3 to cut the deficit to 3. Then, SG Taylor Higginbotham stole the ball and scored to cut the lead to 1. The Lakers caught Massachusetts in regulation and defeated them in overtime 68-62. In the semi-finals the Lakers led early 34-20, but with nine minutes to go, the St. Louis Warriors made their run, cutting the lead to one point with 10 seconds left. Forward Green Bay commit, Madison Wolf took a huge charge and point guard Emma Meriggioli made two free throws to seal the win for the Laker by 3 and put them in the finals. In the Championship game the Lakers dominated from start to finish with SG Taylor Higginbotham and point guard Allison Hughes leading the early charge. The Lakers led wire to wire with a double digit lead most of the way before winning by 9. The Laker Whites as always, played in the top division and the top tournaments versus the best teams in the country winning 8 out of 12 tournaments is a tremendous accomplishment for the girls. Along the way the Lakers defeated the Colorado Rockies and Team Express Black, who also played in this tournament as well. The final two teams in the Windy City USJN Summer Finale were two Wisconsin teams both of which had lost to the Laker Whites. This was truly an exceptional team and showed why that as much as they have tremendous basketball talent, they all put the team first, which is why they achieved such great success. Lakers Whites only played Man 2 Man defense all summer. Thanks to all of the Laker players and we look forward to continued success and many more NCAA Championships. 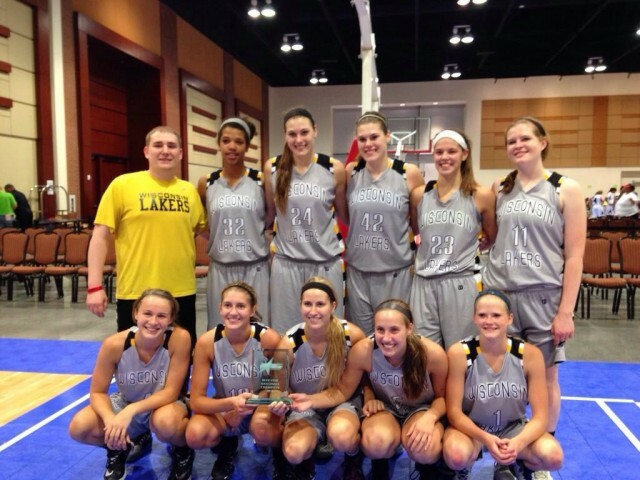 Lakers Gold – Meltdown Champions! Congratulations to Wisconsin Lakers Gold on going 5-0 and winning the Purple Division at the North Tartan Meltdown July 24-26th in Minnesota. This is the second year in a row Lakers Gold has won the Purple Division at the Meltdown. Very proud of this group, they continued to get better all summer. Great group of girls, and Coach Foster did a great job leading them. In Pool play Lakers Gold defeated NC Heat, Northern Lites, and Purple Aces which advanced them to the Final Four of the Purple Division. First game in playoffs Lakers Gold defeated the Wisconsin Lightning, and in the Final the Lakers defeated ND Pro to take home the Gold ball trophy!